Auditions for the upcoming 1st Elements Songwriting Camp will be held today at the Music School of Ryan Cayabyab in Robinsons Galleria from 1:00 p.m. to 6:00 p.m. Maestro Ryan (in photo) will lead the screening committee today. 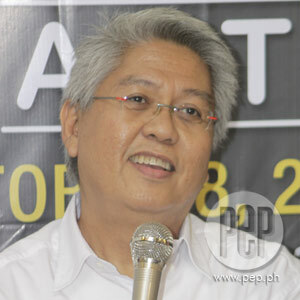 Ryan Cayabyab, along with his team of highly-respected songwriters, will screen aspiring song composers today, September 17, at the Music School of Ryan Cayabyab located at the lower level Robinsons Galleria, Ortigas Center in Pasig City. The live tryout, which is still part of the upcoming 1st Elements Songwriting Camp, will start at 1:00 p.m. to 6:00 p.m.
A project of the 7101 Music Nation—an organization formed recently to propagate and support both inexperienced and established Filipino artists, songwriters in particular—the 1st Elements Songwriting Camp is a five-day (November 14 to 18) workshop to be held at idyllic Dumaguete, Negros Oriental. Aspiring participants are asked to visit and submit the necessary requirements through the official website at www.7101musicnation.com.ph. To complement the online application, the team behind the project also conducted live auditions, last September 8 at the College of Performing Arts Library of the Silliman University, Dumaguete in Negros Oriental. The tryout shifted the following day, September 9, to Mindanao at Mallberry Suites in Cagayan De Oro, Misamis Oriental. Lucky workshop participants will be mentored by no less than some of the country’s most prolific and influential songwriters like Gary Valenciano, Joey Ayala, Jay Durias, Noel Cabangon, Rico Blanco, and Jim Paredes, among many others.